This beautiful saddle is available in a deep brown, full grain English printed leather, renowned for its suppleness and quality. 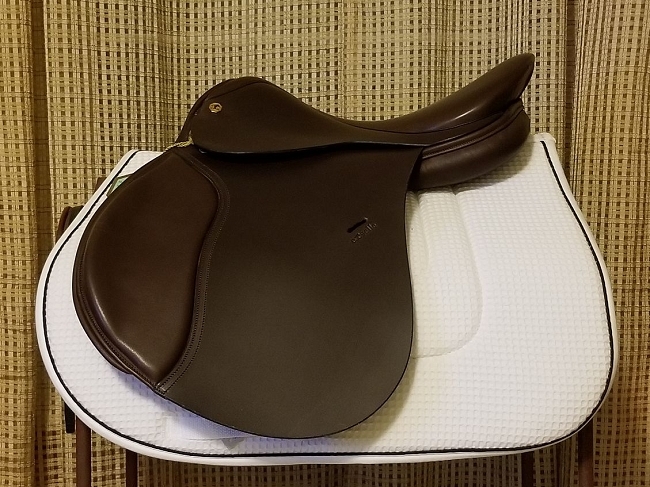 Features include a modified cutback head which offers maximum clearance for the withers and allows this saddle to fit a variety of horses. Additional security is added by incorporating the knee rolls within the softly padded flap. The panels are flared for optimum weight bearing area. This is an excellent choice for eventing, hunting or hacking. 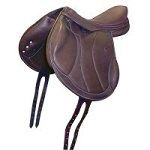 All Exselle saddles are built on the famous Walsall Riding Saddle Company's Ply-Bond Spring Tree. This tree has set the standard for others ever since they developed and patented the system more than 50 years ago. 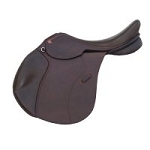 Their devoted effort to please both rider and horse shows in the quality of the saddles they produce. English printed leather. Plybond laminated Birchwood tree with a 5 year warranty. Padded flaps with hidden knee rolls. 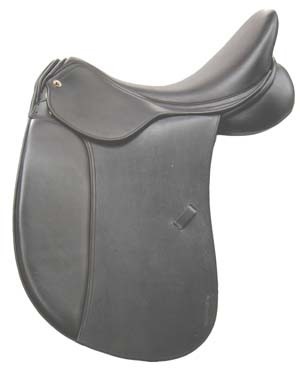 We are offering this saddle at an unheard of price point!